We work together to quickly and cost-effectively build mobile applications and web services on today’s most prevalent platforms. Mobile app development opportunities have never been greater. Not only are employees relying on mobile devices for work, but customers and business partners are demanding the ability to interact with your business using mobile apps, websites and cloud. Mobile is just one piece of the puzzle. Sensors, big data analytics, automation, customer experience, social media – all are important in navigating the complex digital landscape. These highly interdependent capabilities are all part of Centric Consulting’s Digital practice. We help companies get started with digital strategy and roadmap development, digital transformation, re-imagining the customer experience, and extending back-end systems to today’s most relevant digital platforms. As a trusted partner to hundreds of client organizations, we are familiar with the business agenda, understand the technology landscape and consistently deliver innovation with results. Mobile is the fastest-growing, most pervasive technology in history. Mobile is also disruptive, forcing companies to re-imagine how to leverage this technology to serve customers, employees and business partners. Our clients want to go beyond adding apps on mobile devices. They want to understand how mobile can drive business transformation and create new opportunities for growth, innovation and customer experience. 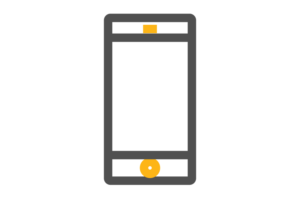 Revolutionize your mobile strategy with beacons. 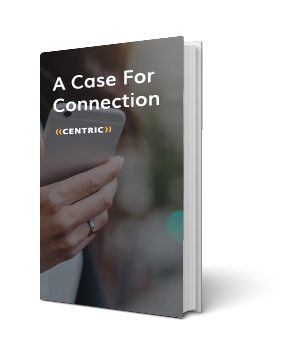 Download Centric's white paper to learn how. We provide the discipline and end-to-end project delivery expertise one would expect from a trusted advisor, and we have helped companies in numerous industries define and execute their mobility strategy. See how we’re helping clients in Insurance and Healthcare embrace mobility solutions. Our Mobile App Development practice is organized into four service areas: Mobile Strategy, Mobile App Development, Mobile Support and Management, and Knowledge Transfer. Who in the organization would benefit most from mobile technology? What business processes and user activities are the best candidates for mobility enablement? 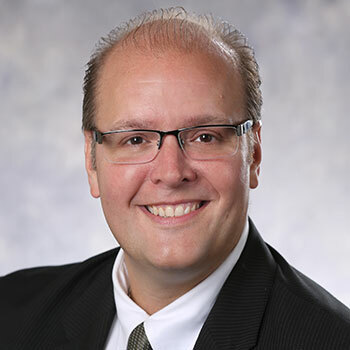 Why should the organization sanction the use of specific mobile devices versus company-owned or employee-owned (BYOD) devices? How will the company secure, protect and manage corporate assets and sensitive information? Revolutionize your mobile strategy with beacons. 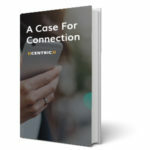 Download Centric’s white paper to learn how. Our experts can quickly and cost-effectively build mobile applications and web services on today’s most prevalent platforms like iPhone, iPad, Android and HTML5. We’ve invested in a portfolio of project accelerators that quickly get core features and basic plumbing out of the way. And we’re continuously innovating with industry-specific mobile frameworks for verticals such as insurance, energy and utilities and others. Design – We believe the best mobile design comes from experience, which is why shrinking enterprise apps down to a mobile screen just doesn’t work. Develop – We have the expertise to build the entire mobile ecosystem including infrastructure, web services, systems integration and disciplined project delivery methodology. Deploy – Whether it’s apps stores, over-the-air installation or device configuration and deployment, we can help. We can even set up a company’s own Enterprise Apps Store. Technical Support – From regression testing new mobile handsets to resolving bugs introduced by operating system updates, we create a reliable service level for support. 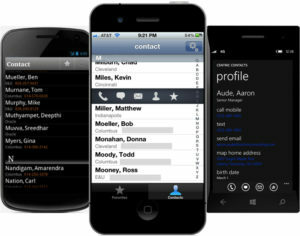 Mobile Apps Management – We know delivery, security, updates, reporting and other services are key. Since most companies are not in the phone business, we take care of it. Enterprise Apps Store – Hosting and distributing mobile applications in public stores like Apple iTunes or Google Play is not the only option. We can set up a private, company-branded app store for any organization. Or, we can maintain mobile enterprise applications in our own secure app store. Mentor – Once the team understands the basics of mobile app development and architecture, we can offer onsite or remote support and advice. Train – How many people do you think learn to write great software by reading a book? You guessed it. The best training is hands-on, so we’ll spend as many days, weeks or months as it takes for the team to feel ready. Move – While it makes sense to host your mobile infrastructure and apps with us, we also understand your organization might prefer to manage this in-house. Our infrastructure experts will work with your team to migrate everything seamlessly onto company infrastructure.